La Aurora made a splash recently with its new La Aurora 107, celebrating the oldest Dominican cigar company’s 107th anniversary. But that cigar, which will be expanding beyond the initial three to include a corona, won’t be the only new cigar from La Aurora in 2010. During my recent visit to La Aurora’s Dominican factory, José Blanco, sales director and our gracious host, handed me an unbanded smoke. Later he let those of us smoking it know that the cigar would be released at the upcoming International Premium Cigar & Pipe Retailers (IPCPR) Association Trade Show in New Orleans. Blanco disclosed that the cigar will be mostly of Dominican tobacco and would be medium- to full-bodied. The corona gorda-shaped sample I smoked, which I was warned was freshly rolled and not fully aged, featured a lovely, veinless, milk chocolate wrapper. My quick notes (taken, mind you, after four cigars earlier that day) revealed a medium-bodied smoke with dry chocolate notes, a bit of cedary spice, excellent balance, and a clean finish. I’ve heard rumors the cigar will be named after Guillermo León, La Aurora’s president and fourth generation cigarmaker. However, neither León nor Blanco would confirm the name (but didn’t deny it, either). Four sizes are expected for the new blend including a corona and a corona gorda. Pricing is also not yet released, but having tried the smoke I think it could be a big hit at the show. Meanwhile, Blanco also confirmed for me that La Aurora was ceasing production of the La Aurora Barrel Aged. The process of aging the tobacco in rum barrels is extremely complicated and time consuming, he told me, and so they’ll be focusing their resources elsewhere. Patrick S, You & the other Stogie Guys are great, but today's article and others like it befuddle me. I may be alone in this, but I don't understand why you write about the plans of cigar companies. When the cigar arrives, it will be great to have reviews of it. What am I supposed to do w/ news of what tobacco may go into a cigar that may be available…etc? Articles about cigars that can be bought today are definitely more useful to me. Chefs have lots of ideas, but we go to restaurants that serve great food; not for the discussions and experiments of their kitchens. I disagree with Ethan. It's always nice to hear about what's in the pipeline in the cigar industry and sneak peeks at unreleased product, while not review material, are interesting. I for one enjoy hearing what is coming next. For better or for worse, IPCPR is like our Christmas where we see what the latest and greatest is and then smoke em to see if they really are as great as the cigarmakers claim. I enjoy keeping abreast of upcoming products and concepts. 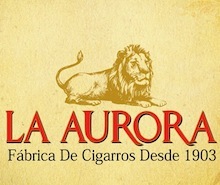 But La Aurora has failed to produce anything in the last couple of years that I have enjoyed. Nothing from them is particularly bad, but nothing appeals to me, either. I'm a fan of these types of post. Nice to hear what's going on inside the industry and to get a peek at what might be coming. I would have to disagree Ethan as well. Before I comment on my own opinion, I will say that I do understand. Some people like to get a turbo put on their car by someone else and then just drive it. Others want to get their hands dirty, understand a/f ratios, read how the technology has advanced. With that being said, I have enjoyed the article. I recently started becoming interested in more of the history and picked up a book at B&N called "The Complete Guide to Cigars". It's the only cigar book I've read so I have nothing to compare it to. But, much like this article, it gives me an appreciation for technology and history that goes behind each smoke. i think its nice to hear about what the cigar industry is doing in the current scenario. its not just about after sales reviews rather keeping ourselves updated with the industry movements.